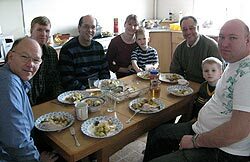 Irkutsk, 5 April 2010, Interfax – Pastor Igor Zyryanov from the Irkutsk Region, after 18 years of working at Protestant meetings and two years of pastoral missionary work, converted to Orthodoxy together with his family and community. Zyryanov writes in his article “The Lord Took Me Home!” published at the Irkutsk Diocese website. Zyryanov was going around villages as a missionary and delivered about four thousand sermons. However, he soon was disappointed with Protestantism. He considered Protestant communities “pieces, fragments of the Church as if it was a church, but damaged, without plenitude,” and he could not find “a Church with a capital “C”. Several years of reading the Holy Fathers and talking to Orthodox priests, who “dramatically differed with their humility and kindness from Protestant pastors filled with pride”, led Zyryanov to a decision to convert to Orthodoxy. Thus he, his family and the Bayanday village community have become Orthodox believers. Today Zyryanov is a member of the village parochial council of St. Michael. 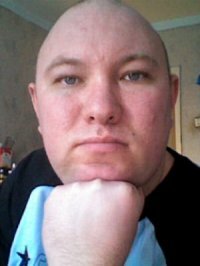 A Siberian evangelist, Igor (pronounced eager) lives in Ulan Ude, a city about a thousand miles east of Krasnoyarsk and just north of Mongolia. Igor has a background in the occult, his mother having been a witch who passed on demons to her son in the womb. As a young man he took up a job as a village folk healer. He says that the demons in him would negotiate with the demons oppressing a client; the result was some form of temporary relief from whatever the problem might have been. Igor as a young man encountered the Gospel message, which he embraced. The result was that he was delivered from the demons who lived in his body, and he felt for the first time in his life a freshness and purity that was as wonderful as the dawning day. Igor took up the work of an evangelist, specializing in reaching out to people dealing with the same occult forces that had dominated his life. In his ministry he has experienced supernatural visions and healings. He worked with the Buryat people, sharing the Gospel, distributing Bible recordings produced by Gospel Recordings, training others, and organizing fellowship groups. The Office of International Evangelism supported his ministry last year with a grant of $2,000 from the Siberia Unreached Peoples ECO.